In nineteenth-century Punjab, a cultural tug-of-war ensued as both Sufi mystics and British officials aimed to engage the local artisans as a means of realizing their ideological ambitions. When it came to influence and impact, the Sufi shrines had a huge advantage over the colonial art institutions, such as the Mayo School of Arts in Lahore. The mystically-inspired shrines, built as a statement of Muslim ruling ambitions, were better suited to the task of appealing to local art traditions. By contrast the colonial institutions, rooted in the Positivist Romanticism of the Victorian West, found assimilation to be more of a challenge. In questioning their relative success and failures at influencing local culture, the book explores the extent to which political control translates into cultural influence. Folktales, Sufi shrines, colonial architecture, institutional education methods and museum exhibitions all provide a wealth of sources for revealing the complex dynamic between the Punjabi artisans, the Sufi community and the colonial British. In this unique look at a little-explored aspect of India's history, Hussain Ahmad Khan explores this evidence in order to illuminate this web of cultural influences. 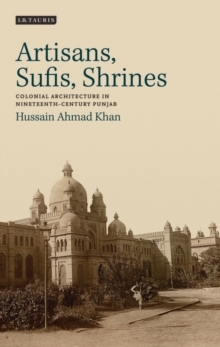 Examining the Sufi-artisan relationship within the various contexts of political revolt, the decline of the Mughals and the struggle of the Sufis to establish an Islamic state, this book argues that Sufi shrines were initially constructed with the aim of affirming a distinct 'Muslim' identity. At the same time, art institutions established by colonial officials attempted to promote eclectic architecture representing the 'British Indian empire', as well as to revive the pre-colonial traditions with which they had previously seemed out of touch. This important book sheds new light on the dynamics of power and culture in the British Empire.